Although the AirPods have been well-received by a majority of users after the holidays, the largest issue persisting online centers around troublesome battery drain issues with the headphones' bundled-in Charging Case. MacRumors reported last week about an initial hubbub of concern coming from AirPods wearers and the Charging Case not living up to Apple's 24 hours of standby life. This week more stories have come out about potential fixes for the issue, as well as reports of some users deciding to return or exchange their AirPods because of the Charging Case problem. Towards the end of last week, one Redditor posted a fix for the AirPods Charging Case battery drain issue, and a few MacRumors forum members corroborated that resetting the AirPods completely and syncing them back up to each iOS device helped return their Charging Case to normal battery life. Unfortunately, the fix isn't universal, and a large portion of affected users still see large percentage drops in the Charging Case on an hourly and daily basis, even after resetting. 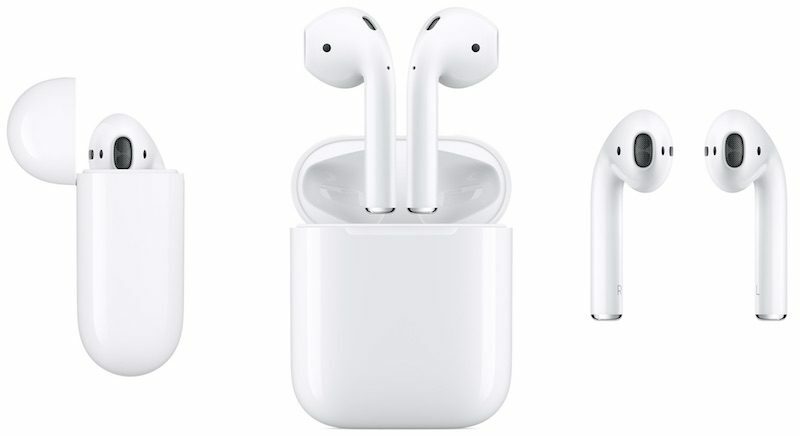 The fact that a software reset works for some users has lead to hope that Apple may address the battery drainage issue in the form of a firmware update for the AirPods sometime in the future, but the company hasn't commented on the problem or mentioned whether or not AirPods will be updated through iOS at all. Apple has quietly updated some of its iOS-connected accessories in the past, including the Apple Pencil through iOS 10.1, which users noted as bringing more fluid and responsive drawing tools to the Pencil. Without the confirmation of a possible software fix, however, there remains the option of exchanging the AirPods at an Apple retail store for another pair, which of course depends on the device's very low stock being available at your local store. In a post on the MacRumors forums, Lihp8270 described their experience with contacting Apple Support about the issue, and having to either return the AirPods and wait six weeks for a replacement, or keep in constant contact with a local Apple retail store and be in line first thing for an exchange. I did call them. Their solution was to mail it to them, and wait 6 weeks for a replacement. Or I could phone the store myself every day and check to see if they had any new stock in to exchange it, as they couldn't take my details and let me know when an exchange set was available. My first support chat with the 1st set went to a Senior Advisor, they booked me a Genius Bar appointment. Even though I was talking with the US people from the UK. Exceptionally helpful. But I was passing an Apple store, and since only a few days old. I popped in to see if they had any replacements in stock that I could just switch out rather than waiting another week. They did not, but forwarded me to AppleCare. AppleCare wanted me to mail them their device, and wait 6 weeks with no device, and no money. So I said I'd rather keep hold of them (as they work beyond needing daily charging) until an exchange set was available, or just refund for cash and I'll order more. So I went back to the store. Asked if they are able to take my details and set any aside and I will exchange my faulty set when they come in. They said no, I'd have to call the store everyday, and ask about stock. Then when they had some, to get in ASAP and swap them before a customer purchased them. No solution they offered was convenient. So I had them refunded. The same user goes on to describe purchasing a second pair of AirPods, which also began exhibiting the battery drain issues with the Charging Case. Similar stories are growing more common online, as users begin to chart out exactly how much battery the Charging Case is losing in an attempt to see if they can discover a solution. 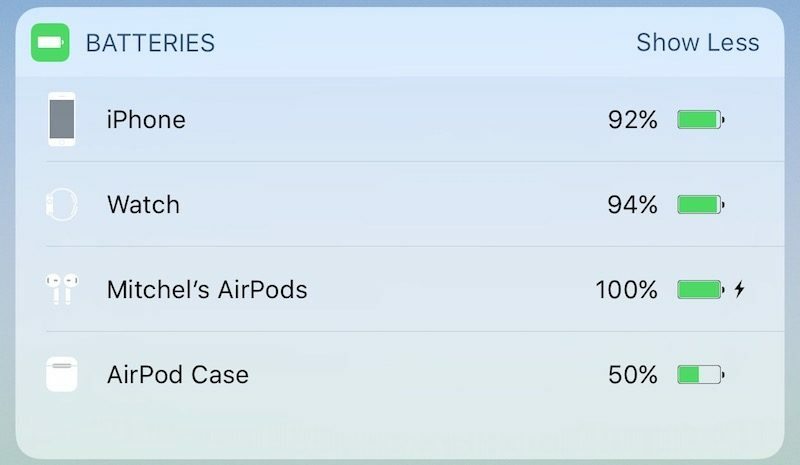 On the bright side, in nearly every case the AirPods themselves have a solid and reliable battery life. Just remove the battery percentage indicator. See? Problem solved! These are amongst the first few posts of this thread. Let's assume someone is a real person, who uses Apple products and goes to the Comedy Store for humor and comes here for real information that is also helpful. With is in mind, let's look at these few posts. So what? Who cares? What will you do with this information? And it really isn't helping me in any way, shape, or form. Now here's a suggestion that really irritates me when I come here for help and useful information. Another anecdote that is off topic and completely useless. Terrific. How unfortunate for you. Not helpful at all. But I would suggest some cosmetic ear surgery for you that will take care of the problems. Vulcan ears don't have this issue. Just ask Spock. So, coming here for useful information is clearly a waste of time. And the vast majority of the those "humorous" posts just aren't funny. Then maybe go away forever? It's only a matter of time until we discover the issue that led to Tim Cook delaying the release of these wireless earphones. Mine are flawless except for the fact that they fall out of my ears every 30 minutes, even when I'm sitting still at my desk. Apple has quietly updated some of its iOS-connected accessories in the past, including the Apple Pencil through iOS 10.1 ('https://www.reddit.com/r/ipad/comments/59b59d/101_also_contained_firmware_update_for_apple/'), which users noted as bringing more fluid and responsive drawing tools to the Pencil. So they might update the AirPods to add the option to skip a song with a double tap rather than invoke Siri? Mate, you shouldn't waste your time. It is unfortunate but most information is vitriol towards Apple and Timmy. I say just read, get angry and laugh at the hate. Makes my morning turds much easier to exorcise. The horror. My condolences to the whole family. Let's hope you'll get a working earphone and the nightmare will finally be over. The title of this article is a bit misleading. Multiple days of testing and more data is needed to see if resetting the AirPods really solves the battery life standby issue. Essentially, battery life while using the AirPods is pretty good. But the standby life is bad. It's not the charging case, as we've deducted (which itself is dumb and only has it's battery life status communicated to the iPhone when an AirPod is inside of it), but rather the AirPods that are staying active in some form, enough so that they discharge while in the case, and then continuously use the case to stay charged. In many occurrences the case and pods can be completely discharged / battery dead after 2-3 days from a full charge. I'd love to see more people actually test this out. The true issue with this, is that unlike other Bluetooth devices/headphones, the AirPods don't fully power off, and you can't just charge them and then keep them in a pocket or in a bag and expect to use them after 2-3 days. This fix worked flawlessly. Was draining like crazy with no use. Did the reset, charged to full, and re-paired. Went to bed last night, woke up 6 hours later and case/AirPods still at 100% battery. Awesome.